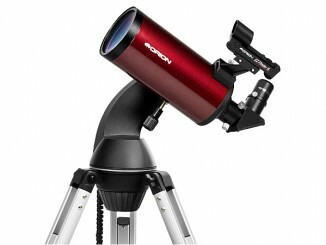 The Orion EON 115mm and 130mm ED triplet refractors are mean imaging machines, capable of capturing wide-field star-tossed imagery. 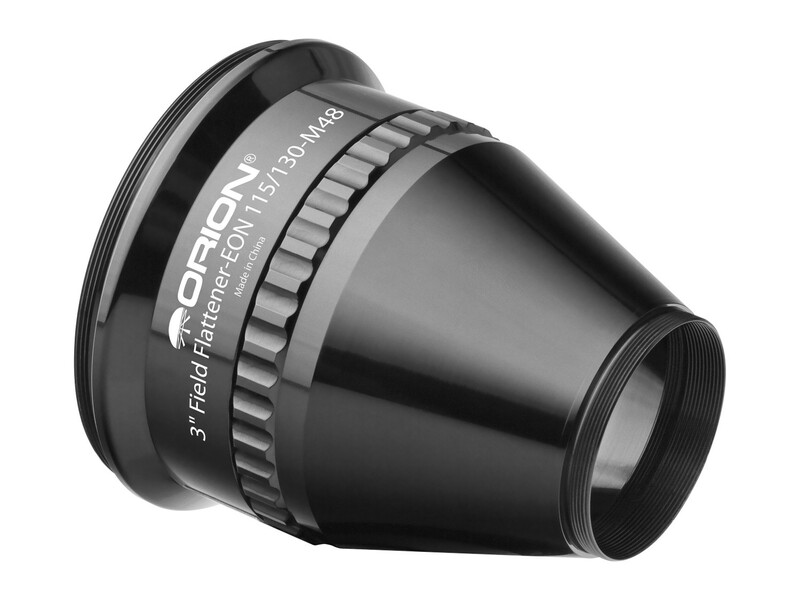 Yet with an eye on taming those field extremity stars that can get tortured into tiny streaks of light instead of pinpricks, Orion introduce this dedicated 3″ field flattener. One side of the field flattener threads on to the 3″ focuser, whilst the other offers a wide M48 thread that enables fixture of DSLRs, etc. 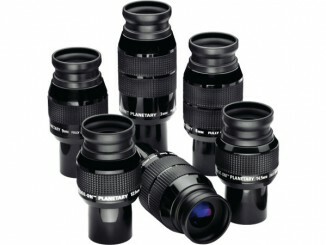 without the vignetting possible with smaller M42 designs — particularly when deployed with full frame sensors. Between the threads, a multi-coated two element corrector does its job without modifying the focal length — so image scale is not changed. 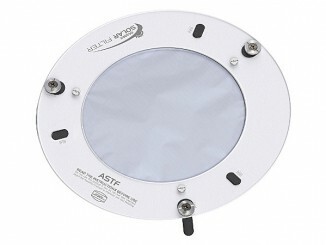 Its fully locked threaded attachment ensures no flexure as when fitted it physically becomes part of the telescope — and offers that security to the imaging accessories behind it.